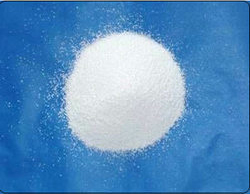 We are leading Manufacturer and exporters of Sodium Meta Silicate Nonahydrate we are an ISO 9001-2008 company following all standard strictly to maintain our quality of products. Our in house lab and QC department is strong in equipment, knowledge and system to meet the international standards..
Also known as : SMS 9h20, Sodium MetaSilicate Nan hydrate. 1. Alkalies as Na2O 20% Min. 6. Free Alkali as Na2O 1% Max.